I am going to write something that will shock you – the Farm cats are spoiled. Not just a little spoiled, but a lot spoiled. OK – maybe you are not shocked. If you follow me on Instagram you get to see all of their crazy antics. Today they are going to share – share being a relative word – their excitement over some gift ideas for your cats from Petmate®. Last year they showed you how comfortable a clamshell bed and kitty zip mat could be. They still use both with all of the napping skills they possess. I kept thinking that Sherpa would LOVE that. He is the KING of cardboard scratchers. For this I am very grateful as he loves to scratch and as long as I have plenty of scratchers around he uses them. Since Sherpa is erm, a fluffy boy a sturdy scratcher is best and this Jackson Galaxy beauty is that. What I really love is that it can be set up in several different ways. Knowing my furry boy I utilized the upright set up ’cause Sherpa likes either to stretch down or to stretch up while he scratches. It is very well made and comes with some primo nip – or at least that is what Sherpa indicated. I am sure that any of you with cats know that play time is very important. The Farm cats love to play with wand toys. The hubby and I will each take a wand and get the cats to jump, leap and chase. No, I do not have a video of this. Maybe someday. I do have a snippet of Pumpkin showing you his wand toy style. He doesn’t leap as much as the younger cats. He’s more of a tapper. He still enjoys himself and will often sit and stare at the toys until we play with him. 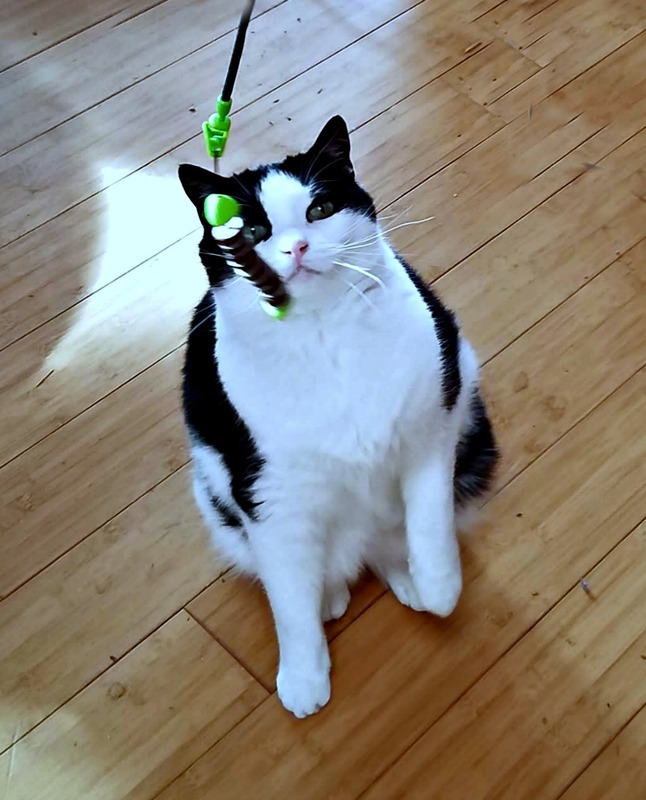 He did enjoy playing with the Jackson Galaxy Ground Prey Wand Toy. There is also an Air Prey Wand Toy. I love, love, love the retractable handles. Both of these toys are incredibly sturdy. Additionally, if you look at where the “prey” attaches to the wand you can see that it’s removable. This also means it’s replaceable. So if you buy one wand you can then buy all manner of different “prey” for it. How cool is that? 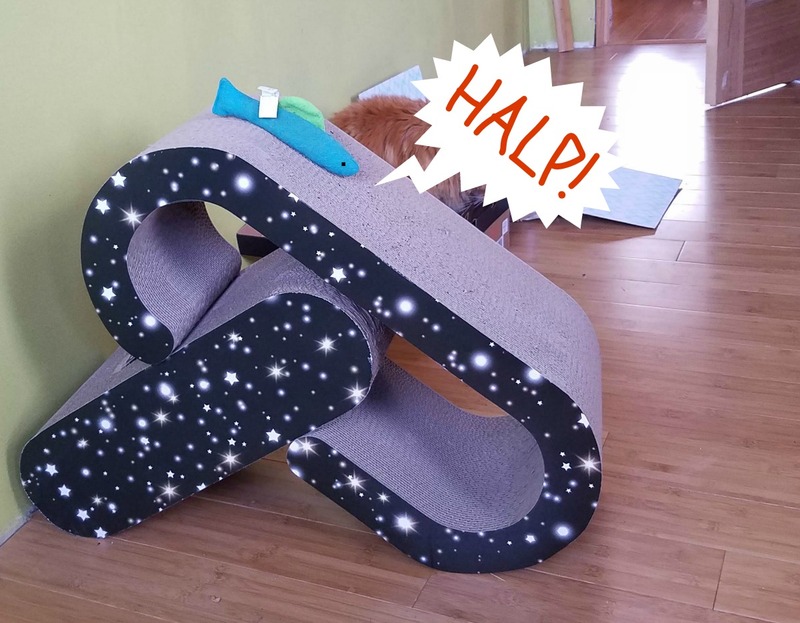 So you can see that Petmate offers a number of very cool items from Jackson Galaxy for your cats. These items I’ve shown you are new for this year. Add them to the other wonderful products the company has to offer and you will have a wide selection of treats and toys for your kitties (and doggies – Petmate has a full line of wonderful toys for dogs and toys for birds too) this holiday season. Only Trout is unhappy about the new addition to the yurt. It’s a bit of a drop for him. He is not happy that Sherpa brought him in for a “ride.” Don’t worry – Trout was not harmed. The only problem I have had at all is that Sherpa will not share. It is set up next to his boxes and he has laid claim and that is that. If you are shopping for your cat(s) Petmate and Jackson Galaxy will help you find the purrfect gift for your furry friend. These gift ideas for your cats that I have shown are only a few of the many fun and exciting toys for cats available at Petmate.